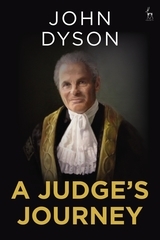 John Dyson is one of the leading lawyers of his generation. After a successful career at the Bar, he rose to become a Justice of the Supreme Court and Master of the Rolls. In this compelling memoir, he describes his life and career with disarming candour and gives real insights into the challenges of judging. He also gives a fascinating account of his immigrant background, the impact of the Holocaust on his family and his journey from the Jewish community in Leeds in the 1950s to the top of his profession. Although he has become a member of the Establishment, this arresting story shows how he continues to be influenced by his Jewish and European roots. 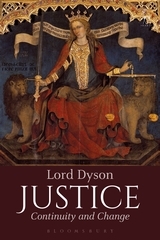 Lord Dyson was a Justice of the UK Supreme Court from 2010 until 2012 and the Master of the Rolls and Head of the Civil Justice System in England and Wales from 2012 until 2016.